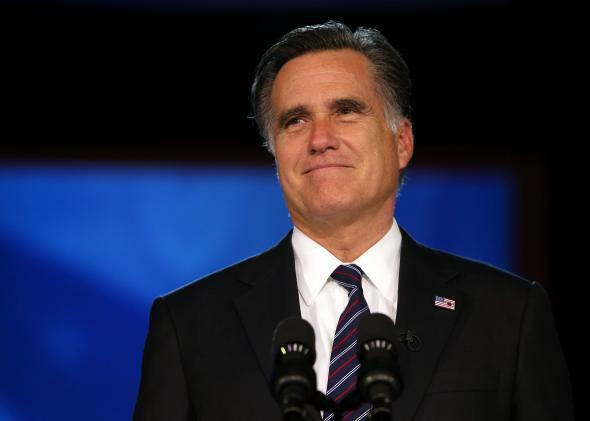 Mitt Romney not running: How the media treats failed candidates' presidential decisions. You made the right call, buddy. So keyed up were news mavens for the possibility that Mitt Romney would run again for president that two media organizations, Bloomberg and the Daily Beast, initially misreported that the former Massachusetts governor would be running. Romney then rather blandly announced to donors that he felt that he was not the right person for the job, triggering headlines about how someone who had never been running for president in 2016 was not, in fact, running for president in 2016. We should have known—based on a lot of recent history, Mitt was almost certainly not running. As many have noted, the only person since the 1800s to win the presidency after losing a general election as his party’s candidate was Richard Nixon in 1968. The last candidate to even attempt to reclaim his party’s nomination after a general-election loss was Hubert Humphrey, who lost the Democratic nomination to George McGovern in 1972 after winning it in 1968. This history, though, has never stopped the press from wondering, pretty much every dang time, whether the last loser will run again—sometimes, as with Romney this year, because of coy moves made by the losing candidate himself. If John McCain hadn’t made it clear before, he’s leaving no doubt that the presidency is a dream gone by. Sen. John Kerry, the Democratic presidential nominee in 2004, announced Wednesday that he will skip a second run for the White House to concentrate on bringing the war in Iraq to an end. “As someone who made the mistake of voting for the resolution that gave the president the authority to go to war, I feel the weight of personal responsibility to act to devote time and energy to the national dialogue and an effort to limit this war and bring our participation to a conclusion,” he said in a speech on the Senate floor. Al Gore has decided against running for president in 2004, ending a month-long flirtation with another candidacy. Mr. Gore announced his decision in an interview on “60 Minutes” tonight. The decision marks the end of a chapter in the political life of Mr. Gore while immediately recasting the entire Democratic field. Massachusetts Gov. Michael S. Dukakis, he of the plummeting poll ratings and slumping state budget, hasn’t ruled anything out for ‘92. In a television interview broadcast Sunday, the 1988 Democratic nominee sounded like a man ready to get up off the canvas and go another round. “Can you ever see yourself running for President again?” the governor was asked on C-SPAN, a cable TV public affairs network. “Maybe. Maybe,” Dukakis said. On the 1984 elections, Carter said he is definitely not running. Repeatedly questioned on this, he said: “It means that I am definitely supporting Mr. Mondale.” Carter has indicated previously he would not seek re-election. Organizers of a political movement launched with the traditional Washington news conference hope to persuade former President Gerald Ford that he should make another run for the White House. Vermont Gov. Richard Snelling said Friday he believes Ford will enter the 1980 Republican nomination fight if he can be shown there is enough grassroots support for his candidacy. Ford has said he is not a candidate. Once again Humphrey is Horatio at the bridge, the happy warrior with the battle-scarred shield who brushed off [Eugene] McCarthy in 1968, who almost beat back George McGovern in 1972, and who may be—make your bets, ladies and gentleman—the Democratic establishment’s last, best hope to stop Jimmy Carter. …. Spokesmen for Sen. Lyndon B. Johnson [Tex.] and Adlai E. Stevenson, who aren’t on the Democratic convention scene yet to do their own talking, Tuesday asserted that their principals had gained strength in the last 24 hours. …. James Doyle, the Madison Wis. attorney who is spearheading the draft Stevenson forces, told another press conference that he had won the convention floor privileges and seating accommodations for Stevenson that will give him equality with the other candidates. Stevenson isn’t an announced candidate but has said he is willing to be drafted. Adlai Stevenson was the only one of these candidates to go through with any sort of run, but he lost to John F. Kennedy on the first ballot. Poor, Adlai Stevenson.